Email marketing is essential to any inbound marketing strategy. Successful customer engagement emails will properly communicate and build relationships with prospects and help increase return on investment (ROI). Whether you're a seasoned email marketer or you are new to the world of email marketing campaigns, we want to help you get the most out of your strategy and help you create a high impact email marketing campaign. In today's post we will guide you through 10 must-haves for your email marketing success. Looking to spice up your existing customer engagement emails? - We have tips for those too! What are you trying to gain from your email marketing campaign? - This is a very important step you need to consider before beginning to implement any strategy. Are you trying to increase the number of quality leads? Are you looking to nurture new leads? Are you trying to elicit new interest with existing contacts? - Whatever your goal may be, identify it before you start implementing your campaign to receive optimal results. Before you start sending out your campaign have you determined who you are targeting? Your target audience (or your ideal customers / buyer personas) each have different needs that should be addressed in your email campaigns. If you have a better grasp of who your emails are being sent to and you can help solve a problem, your campaign will be much more effective. 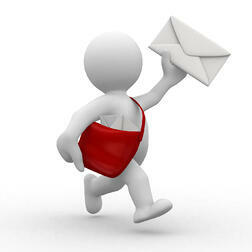 Email marketing is a great way to revive some of your older blog posts. To bring some life back to your still relevant but likely buried content, send out an email with some of your top blog posts from the year. It's a great way to introduce an old blog post or two and bring traffic back to your website. Before you think of just placing any blog post in your email - STOP! Make sure each blog post aligns with the theme of your campaign. For example, if you are sending an email at the end of the year, an idea would be to start thinking about 'new beginnings' and have that theme run through the entire campaign. A blog posts like, "How to Transition Your Employees for Inbound Marketing Service" is a perfect example of starting something new and would make sense when your ideal customer is reading it. Not everyone has time to read through a content-heavy email, and we'd venture a guess and say that when an email is too copy heavy, it's sent right to the trash. With email marketing, it's important to remember that most often, less is more. You want to be sure that you're getting your points across, and are still providing value in the email itself, but you don't want to overwhelm the reader to the point where they're lost and don't know where to click or go next. This is a wasted opportunity. Don't try to bombard your recipient with too much information. We recommend using smaller paragraphs and bulleted lists that are easy to scan. The point is to elicit enough interest, so that the reader is compelled to click through to learn more. This is where a relevant, well-designed call-to-action can make an impact at the end of your content. With only 11% of email campaigns making the effort to customize their content for their recipient, personalization is a very powerful (in our eyes must-have) for any high impact email marketing campaign. The most simple form of personalization in email marketing is to customize the subject line and intro of your email. For example, if you're sending an email about this topic, your subject could read, "Mary, learn how to build a high email marketing campaign". Then we begin the email by saying, "Hi Mary". In this instance, Mary will feel like we are communicating directly with her. That we have sent this email to answer her specific questions and provide her with a solution to her pain point (remember, this was Step 2 where we identified our buyer personas). These small changes will make a strong impression and will increase your open rates as well as your click rates. Campaigns are intended to drive results, but how do you plan on engaging with your prospects after the email has been sent? - By providing your recipients with opportunities for continued engagement, you are able to open up the conversation and keep them coming back for more. And how? With social media. Social follow buttons may sound like an obvious must-have for any high impact email, but only 26% of email marketing campaigns actually incorporate links to their social media pages. If you continue to deliver opportunities for your recipients to connect with you, then the more opportunities you will have engaging with them, driving them back to your website and ultimately converting more leads. You could create an email with remarkable content that has a strong chance of converting leads into customers and engaging your already existing customers - but without an enticing subject line, why would your recipient open it? We talked about this in Step 5, but the first step to take is to personalize your subject line. Did you know that personalized subject lines are 22.2% more likely to be opened? From there, you should think about communicating the benefit of what's in the email. We recommend that you include action phrases so reader is compelled to actually do something. Words like, "learn how" or "find out more" can pique curiosity and garner a click. With the hundreds of emails your prospects probably get in a day, what will make yours stand out? If you're still stuck, look at your most popular (and relevant!) blog titles or ebook offers and rework those to fit as a subject line. We're all human and we all mistakes, but making a mistake in an email that is sent out to hundreds or even thousands of people? That is cringe-worthy. To avoid this, we recommend that you test and proof your emails at least three times. And get as many eyes as you can on it. For the best results, you want to test across various browsers and email clients to ensure everything is showing up properly. You will lose credibility if your email marketing campaign is riddled with errors or if the formatting is off, so send it to one or two different editors / copywriters in your company for 100% accuracy. Segmentation is a must-have for a high-impact email marketing campaign. If you are unfamiliar with segmenting your contacts into lists, it is simply the process of breaking up your email list into specific groups based on predefined criterial. Ideas for segmentation can include Lifecycle Stage (i.e. customer or lead), Interest Area (i.e. a particular product or service), Subscriber Information (i.e. daily / weekly / monthly), etc. These small segment efforts will allow you to send more targeted emails. Since your customers all want different things you are able to provide them with specific, customized emails vs. a general email blast that doesn't align with their needs or pain points. We talked about reviving old content, personalizing your content and making your content easy to scan - but one thing we would like to add is make sure you are creating compelling content. Most email marketing campaigns just provide general information, followed by a call-to-action. At New Breed, we like to entice our readers with content that immediately sparks their interest, is relevant to their industry / business and most importantly, is valuable. We need to be in the value-creation business for any of our content to actually stick. As a result, you will see an increase in your open and click rates as you'll be providing your reader with a good reason to actually take action. Email marketing is a very powerful tool for engaging your customers and ultimately increases your return on investment (ROI). How is your company using email marketing to harness your most effective inbound marketing potential? Let us know in the comments below!